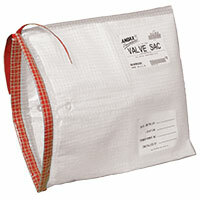 The Insulator Bushing Sac™ Containment Bag is used to completely encapsulate a leaking insulator bushing. 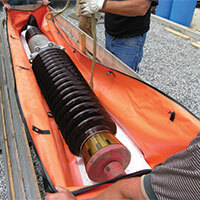 The Insulator Bushing Sac™ offers a unique “open-up and drop-it-in" installation. This simple procedure, combined with our highly absorbent oil-selective liner, makes the Insulator Bushing Sac™ ideal for containing leaking oils and tars. Whether you’re replacing a failed bushing or performing normal maintenance, the Bushing Sac Containment Bag is engineered for 100% containment and transportation. No one wants to think about a great expanding flood of oil or of some corrosive chemical polluting the environment, yet you have to be prepared to respond whenever and wherever such a disaster occurs. You have to be capable of getting sufficient quantity of your sorbents and cleanup equipment to the site of the spill in a timely fashion. 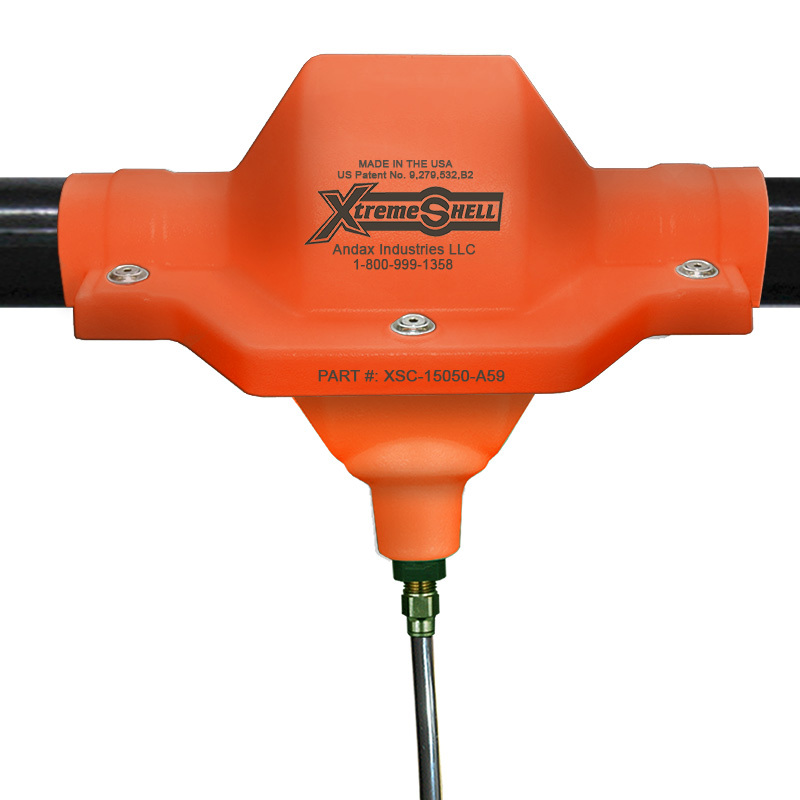 For example: the Andax Tank Trap™ is great for containing active leaks. 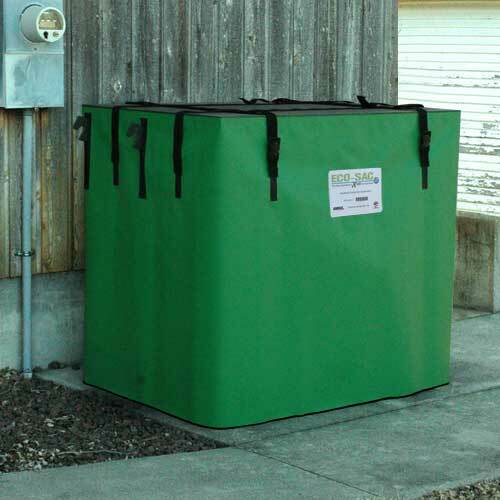 It opens in 3 seconds to 20 times its stored size to contain up to 150 gallons. The Barrel Pac™, Mobile Spill Station™ and Spill Pallet™ are all available in both oil-selective and universal configurations to contain and clean up spills ranging from 60 to 150 gallons. 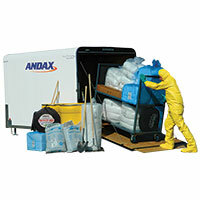 So configure your Andax Spill Trailer to answer the need when a spill occurs onsite or at a distance. It’s fully customizable, so you can build your response trailer and outfit it for whatever emergency you may face. Call our customer service representatives for suggestions about outfitting your spill response trailer, today!